If you do not have a JR Pass, buying tickets is very important. 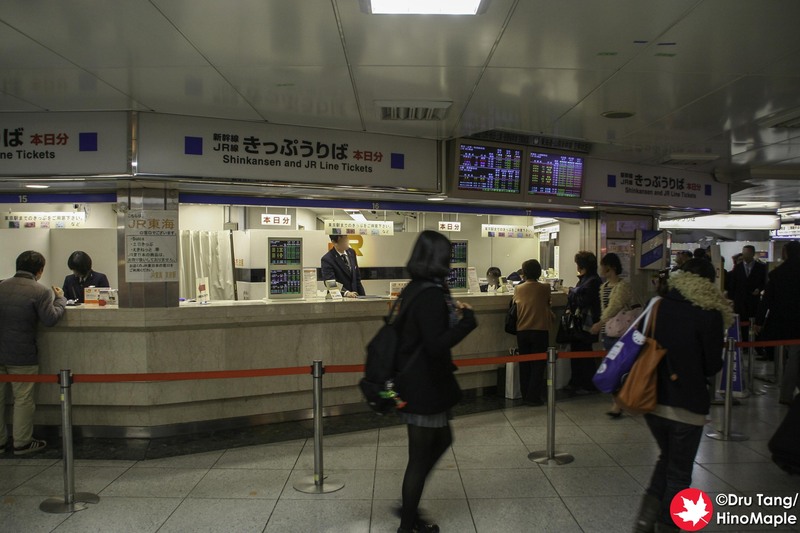 The easiest way to get tickets is to go to the Midori no Madoguchi, the special ticket centres at all JR stations. The attendants at these centres are not perfect at speaking English but they will help you efficiently. Personally, the ticket machines are the best way to get tickets but you need to know where you want to go and how to get there. The options can be confusing at first but if you live in Japan, it is worthwhile to learn how to use the machines as it can be much faster. There is always a question of “Reserved VS Non-Reserved” tickets. Generally speaking, I almost never buy reserved tickets as there really is no need, depending on where you are boarding and disembarking the train. Leaving from Tokyo, you almost never need a reserved seat, even in the peak seasons. You just have to be willing to line up early. If you line up 10 minutes before the train departs, you’ll almost always get a seat during regular days from Tokyo Station. During the peak season, I’d try to get to the platform 20 minutes early. 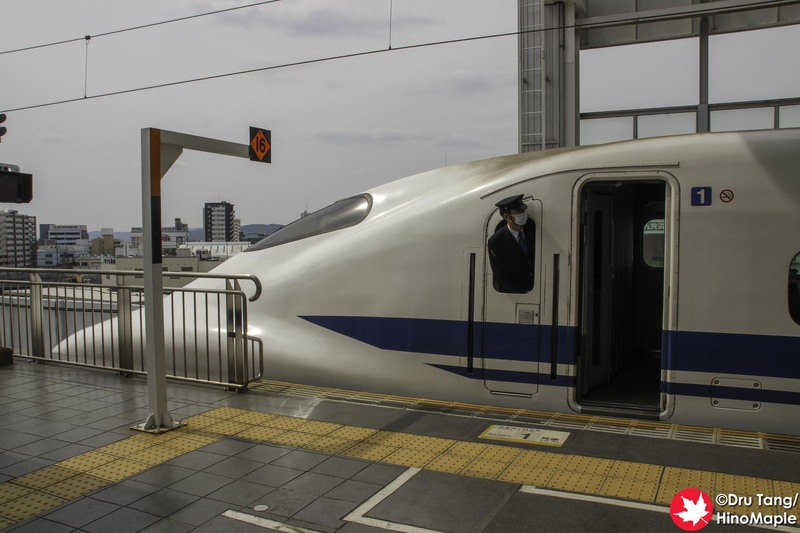 With trains departing on the Tokaido Shinkansen every 10 minutes, it is pretty easy to check a train and then move to a later one if you think the line is too long. If you are taking the Hikari or Kodama trains, you need to be earlier in the peak travel seasons as there are less trains overall and they will fill up quickly. The few stations where I would get a reserved seat are if I was boarding the train from Shin-Yokohama Station or Nagoya Station. Even Kyoto can be difficult to get a seat in the Non-Reserved seating area. Shin-Osaka is pretty easy to get a seat as it is a major station and you can also board a train that departs directly from Shin-Osaka. While the luggage racks of the Shinkansen are perfect for bags up to an airline’s carry on limit, they are not good for large sized suitcases. If you are in the Non-Reserved section, you can usually just put it behind the last row of seats but you may upset whoever is in that row. In the Reserved section, you can try to request the last row but there is no guarantee that it will be available. If you can plan things properly, you can easily send your suitcases ahead of you so that it will arrive at your destination a day later, or try to keep it in your hotel if you plan to return to the same hotel at a later date. 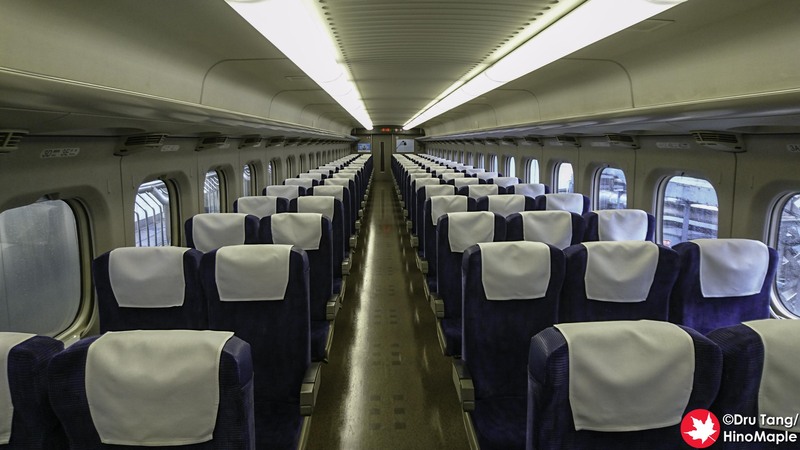 It takes a long time to travel from Tokyo to Hiroshima by bullet train and you’ll probably want to watch a movie or play with your smartphone. The battery will likely die pretty quick but thankfully almost all bullet trains these days have power outlets for each row. 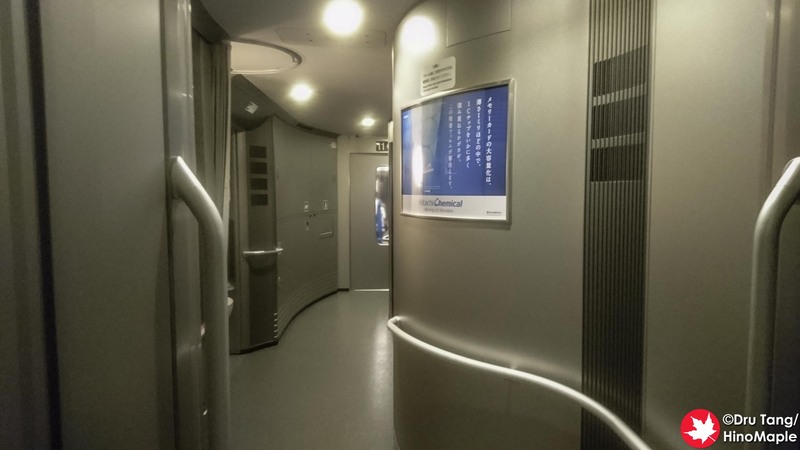 On the Tokaido Shinkansen, the Green Class seats have their own personal outlets but the Regular Class has them on the wall of each row so you need to get a coveted window seat in order to keep your electronics charged. Also note there is also only a single power outlet on the wall for each row so you will need a splitter in order to plug all of your electronics into it. This will change in the future for the Regular Class as they are always upgrading their trains. Unless you are at the first or last station, you really need to be careful when trying to catch or alight from the bullet train. Tokyo Station is usually a flurry of activity and has trains coming and going. Even when they are waiting they are being cleaned so you only have a couple minutes to board and get settled before the train departs. If you are at Shinagawa, the trains arrive and depart in a matter of a couple minutes at most. The only exception is the Hikari and Kodama that tend to wait 5 minutes at some stations as the Nozomi trains pass. You really need to have your things ready and be prepared to leave before the doors even open. Do not wait at your seats until the train comes to a stop before you proceed to alight from the train. When you see people start to line up, you should do the same, with the exception of the end stops. During the holiday seasons (New Year’s, Golden Week, Obon, and Silver Week), it is often standing room only on the trains. If you didn’t book your tickets in advance, you can still board the trains. The Non-Reserved sections are your best bet to get seats but if you are boarding at a non-end station, you will most likely have to stand. Standing is allowed throughout the Non-Reserved cars. Most people will stand between the seating areas, but when that is really full you are allowed into the seating area to stand in the aisle. A little known tip is that you can stand between the seating areas of the Reserved sections. 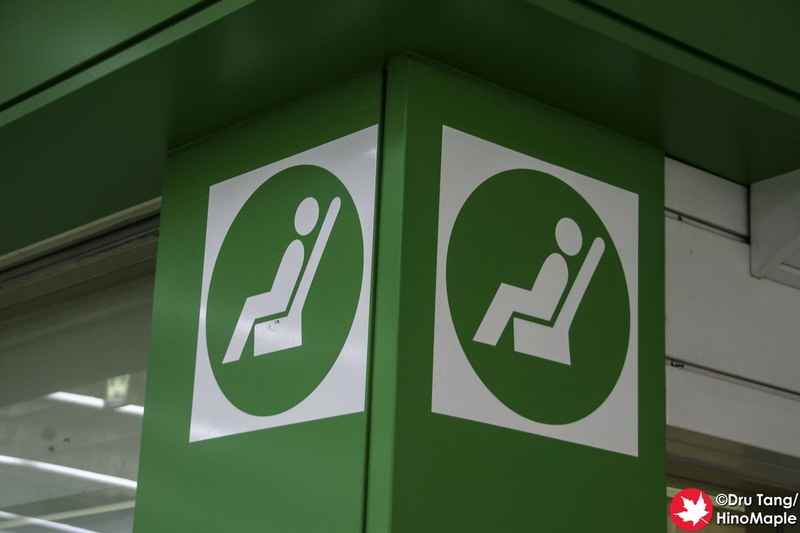 The Green Class section is off limits to standing but standing between the Reserved sections can be infinitely more comfortable as the Non-Reserved sections are similar to rush hour trains. My personal tip is to look between cars 11 and 12 of the Tokaido, Sanyo, and Kyushu Shinkansen. 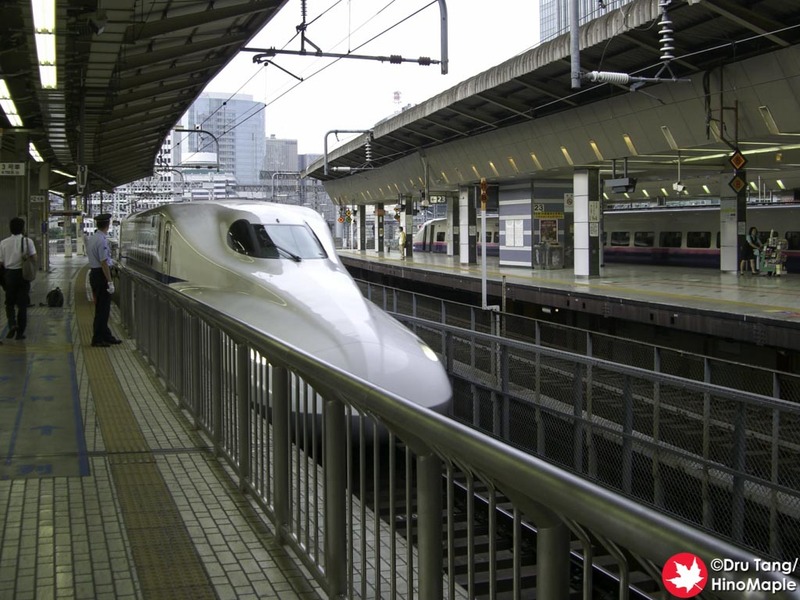 This entry was posted in Trains and tagged bullet train, japan, Shinkansen, Tokaido Shinkansen by Dru. Bookmark the permalink.